The best and most versitile pair of safety glasses on the market just got better with the launch of the Cobra goggle! 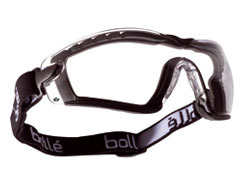 They have an extra strong B & T rated lens capable of withstanding impacts at 120m/s at extreme temperatures. The lenses also contain both anti-scratch and anti-fog treatment. 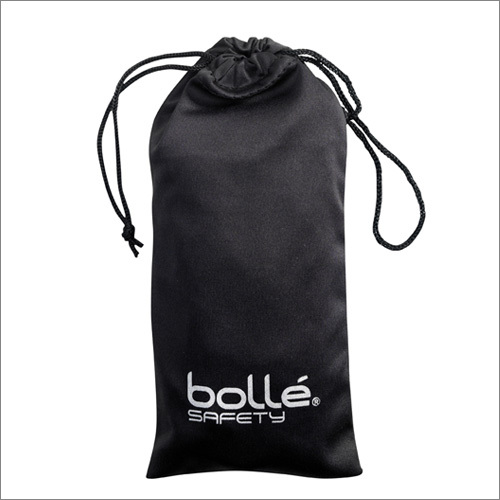 It is important to note however that although Bolle use the most advanced Anti-Fog treatments in the world this does not guarantee misting will not occur. It does depend on the environment and the skin type of the user. The adjustable strap keeps them firmly to your face whilst the foam inserts give 360 degree proterction to water droplets and liquid splashes. Please note that they are not EN166 grade 4 /5 rated to protect against dust and gas. 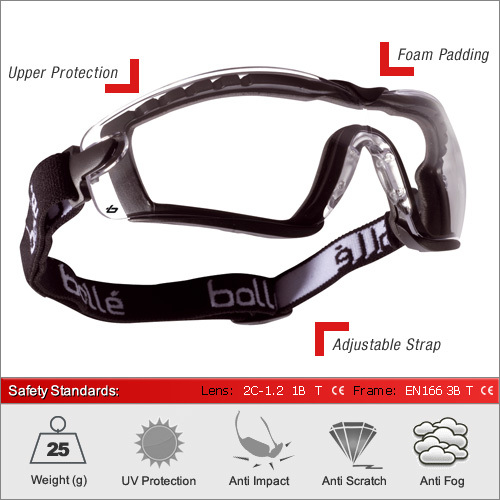 If you do need this additional protection in a safety goggle the please see the Blast, Pilot or Firefighter. 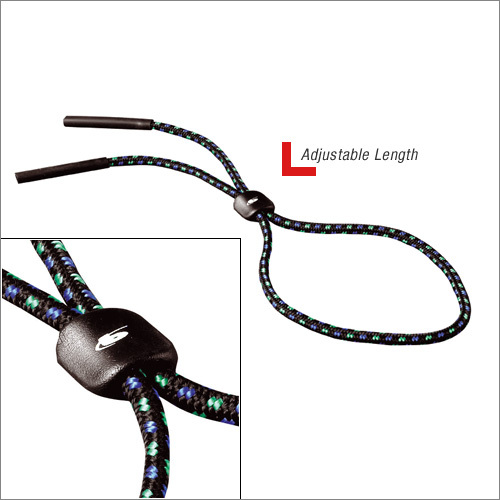 Every pair is supplied with an adjustable cord and a microfibre pouch. This model is only available in a clear lens. However, the Cobra Safey Glasses have 6 lenses available and the strap and arms are interchangable. Many of our customers have the Cobra glasses in a different lens type and swap between the strap and arms depending on their work type.